The 'Friesland indica' is a classic strain originally from the Super Sativa Seed club, Holland. Big Buddha Seeds had sourced the seed from the vaults of one of Amsterdam's best coffeshops. After testing, the 'Friesland indica' turned out to be a real classic Old Skool indica strain. The 'Friesland' grows strong with dark green, elegant indica leaves and with classic buds laden with a diamond glisten. The 'Friesland' was then crossed to our classic strain the 'Big Buddha Cheese' resulting to the FreezeCheese 89, a real frostmaster, easy to grow strong and a good mould resistant plant. Cuando Noel Gallagher, Jamiroquai, Sean Paul y Howard Marks se enumeran como endosantes, sabes que no te irá muy mal con las semillas feminizadas de Big Buddha. 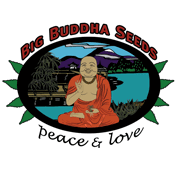 Big Buddha tiene algunas de las semillas de cannabis más vendidas en el Reino Unido y es mejor conocida por sus famosos híbridos Cheese. Tal vez su cepa más famosa es Big Buddha Cheese que fue creado a partir de los mejores trozos de su Cheese original de la vieja escuela. Big Buddha Cheese tiene un sabor sublime y distintivo y te da un sentimiento edificante y motivacional. Puedes comprar Big Buddha Seeds, incluyendo su famoso Cheese, de Seedsman hoy.